24 hours in Tokyo: What To See & Where To Go In Just One Day! Given the hectic Hong Kong lifestyle, long weekends and mini breaks have quickly become the norm, and you learn to make the most of the time you have on hand. 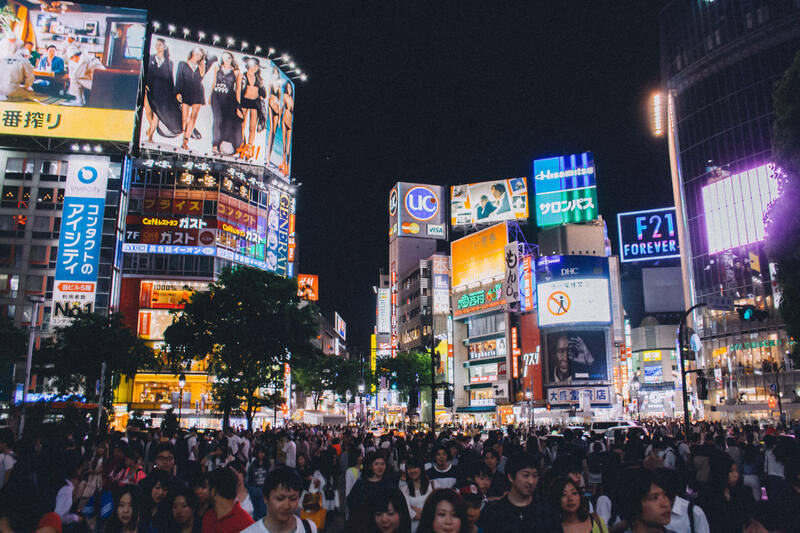 I’ll be the first to admit that Tokyo has so much to offer that a short stay really doesn’t do it justice, but with a trusty map, a phrase book and a pair of worn in Converse in tow, you’d be amazed what you can squeeze into a 24-hour period! Eiffel Tower-esque in stature, the Tokyo Tower looms over the city, standing tall in the Minato district. At just under 333 metres, the red and white striped building offers 360-degree views of the sprawling metropolis. We suggest going as soon as the tower opens to avoid the crowds, guaranteeing an uninterrupted stroll around the viewing deck. Visitors can choose to take the lift up to the first viewing platform, at 150 metres, or up to the secondary platform at the 250-metre mark. On a clear day, you can see planes taking off from Narita and, even further afield, Mount Fuji! No quintessential Tokyo experience would be complete without a trip to Harajuku. The weird and wonderful cultural and fashion district and the birth of the kawaii scene boasts quirky shops and cafés on every corner, with the odd tattoo parlour and owl café thrown in for good measure. Stroll down the main Takeshita Street and its bustling alleyways and side streets to see clothing outfitters, crêperies and more. One of the city’s most vibrant and colourful areas, this is an absolute must-see for tweens, teens and adults alike. You really don’t need much time here at all, but the Shibuya crossing is another must-see. The urban Abbey Road is situated immediately outside Shibuya station, and this iconic cityscape jumps to life when lights in every direction turn to red and the city descends across the intersection. While you can head above ground and watch the chaos ascend from a safe distance, you really ought to get right in the thick of it for the full experience. Our guide and founder of the Arigato tour company, Anne, showed us the sights and sounds of the city in a true local’s guide to Tokyo’s eateries. We started at Yurakucho train station, where each nook and cranny under the train tracks has been converted into an izakaya (a small gastro-pub style restaurant) popular with the after work crowd. Here we sampled the typical fare: beer, sake and a selection of yakitori skewers. Next, we walked through Ginza – Tokyo’s highbrow, luxury district, where Anne introduced us to a selection of regional cuisines and specialties! To round off the experience, we ended our tour in Shimbashi, an area popular with salary men after hours, where little izakayas, arcades and cafés dot the busy streets. Our experience with Anne was wonderful – sharing a unique history and knowledge of the city, we really felt like we had inside access, showing the city in all its glory. With a specially made takeaway video, informative hand-outs and a selection of photos to take away, this was an experience we won’t be forgetting any time soon! Arigato Walking Tours are available through Viator. To round off your stint in Tokyo, head to the world famous fish market. Every sushi lover’s dream, the Tsukiji Fish Market is the world’s largest wholesale seafood market! True enthusiasts will want to see the tuna auction, which will mean rising well before the sun, as people start to queue at around 3am – with a limited quota, you’ll want to get there before the crowds. If a later start sounds more appealing, there is still plenty to see in the outer market, and a whole host of restaurants serving up the freshest fish you will have ever had, with melt in your mouth sushi on offer throughout the maze of market stalls and eateries.